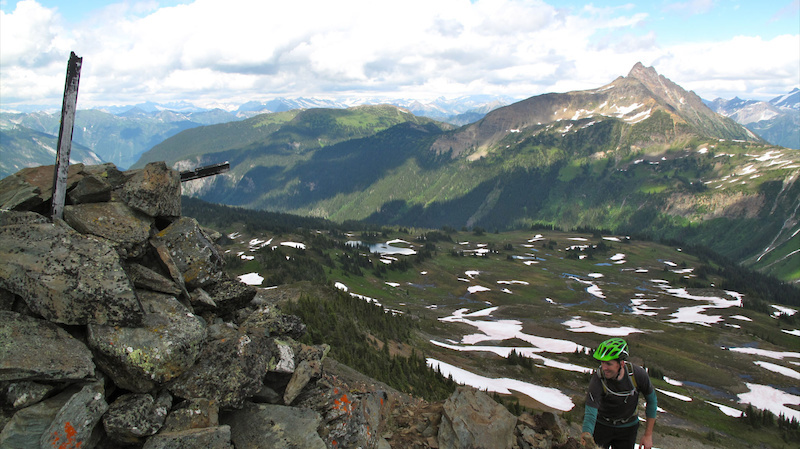 Some call it a hike-a-bike, some call it a summit mission, some even call it a sufferfest. I like to call it an adventure! 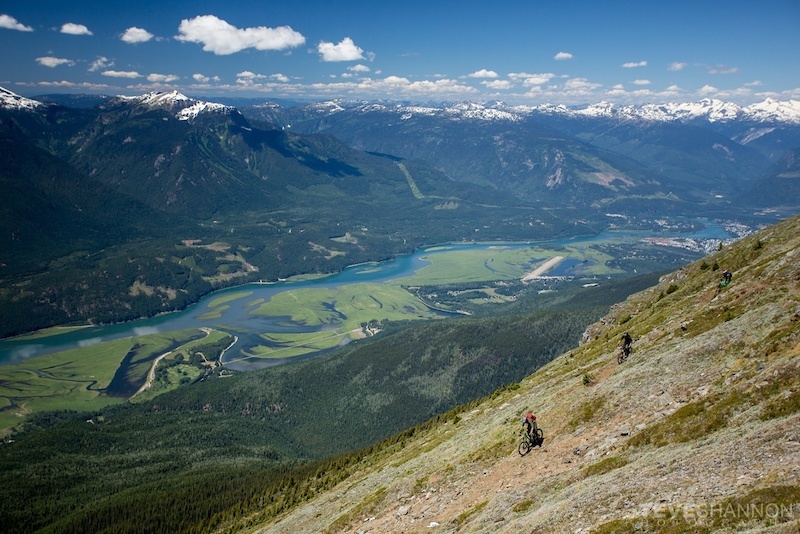 Whatever your taste for wording and whatever your style of riding, if you can handle the long hours in the saddle, the steep and technical terrain, the relentless hike-a-bike, and the long gruelling climbs, these Revelstoke adventure rides might just be for you! 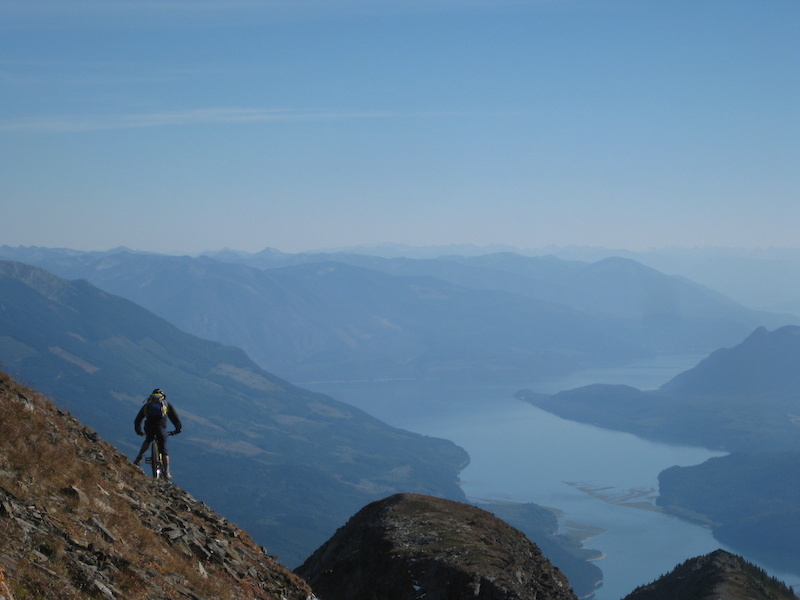 Located in the BC interior, Revelstoke, or Revy for short, is surrounded by big mountains and vast wilderness! 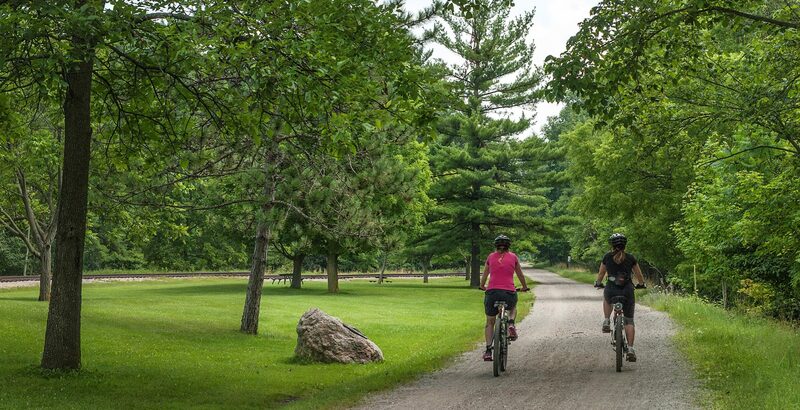 Aside from our 100km+ of purpose built mtb trails, we are also lucky to have access to some world class high alpine multi-use trails which are open to hikers, bikers, and trail runners. 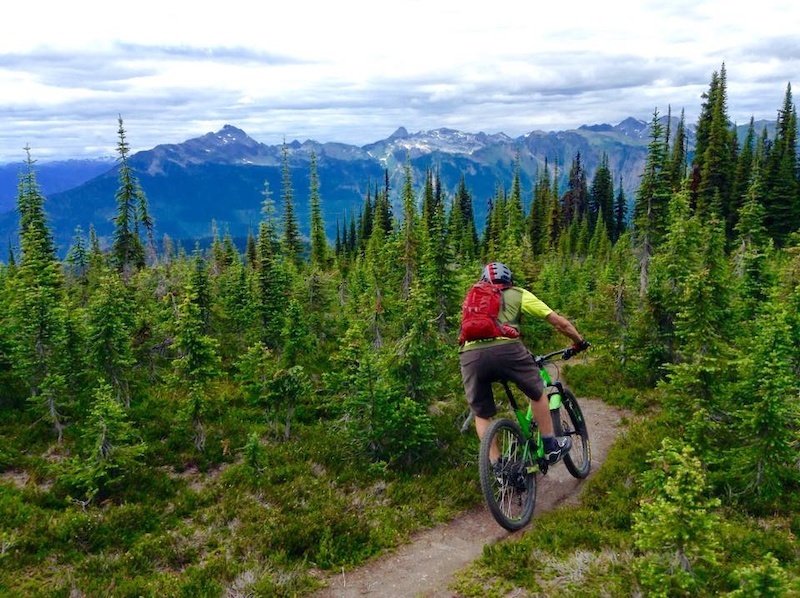 Perhaps it’s because Canadians are so darn polite, but there is virtually no user conflict on these trails, and there is certainly no shortage of big adventure rides to be found! One of the nicest and easiest (relatively speaking, of course) hike-a-bike summit missions around! Mt. 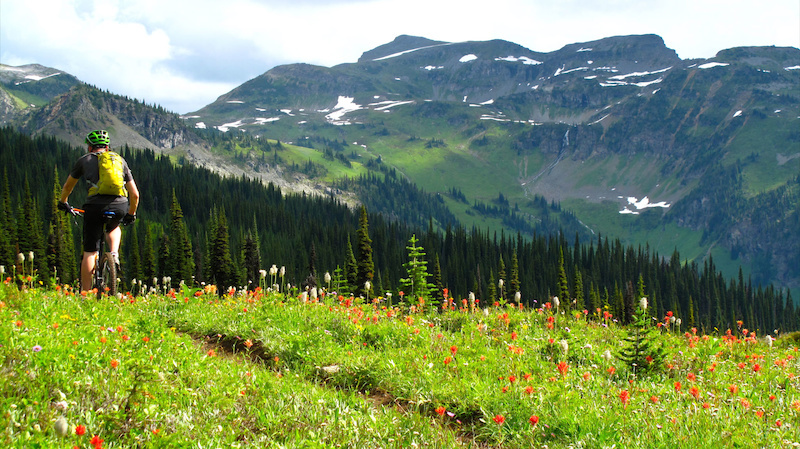 McCrae is located in the Selkirk Mountains, to the South of Revelstoke Mountain Resort and Mt. Cartier. A long drive on well graded forest service roads will bring you to the trailhead at about 1800m. 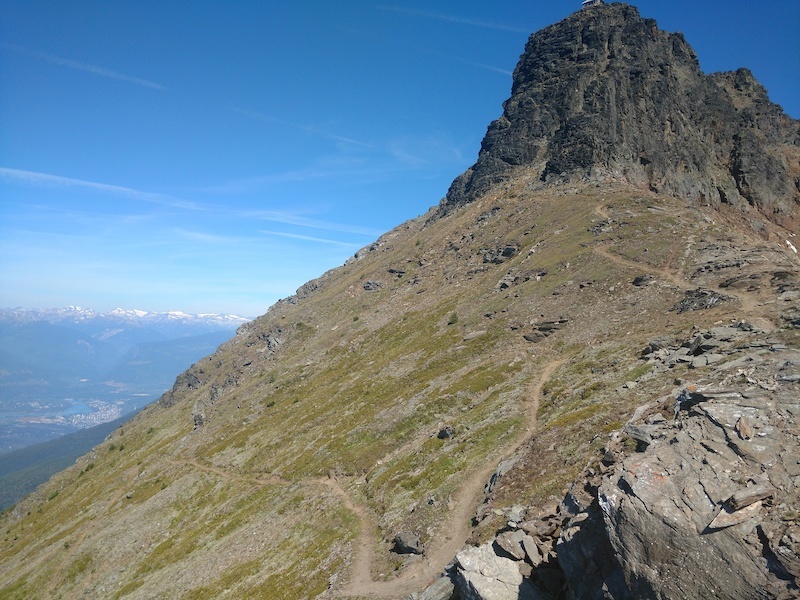 This rugged backcountry trail measures in at around 9km one way to the summit at just over 2500m. On the way up there’s a good mix of challenging steep riding and straight up hike-a-biking. To reach the summit, be prepared for a true scramble without your bike. Unless you are Danny MacAskill or Hans “No Way” Rey, you won’t be able to ride back down off of this summit anyways. Once you get back on your bike the riding is all time! The trail provides incredible downhill riding with several playful natural features and even some fast flow sections. This is definitely one of my favourites! 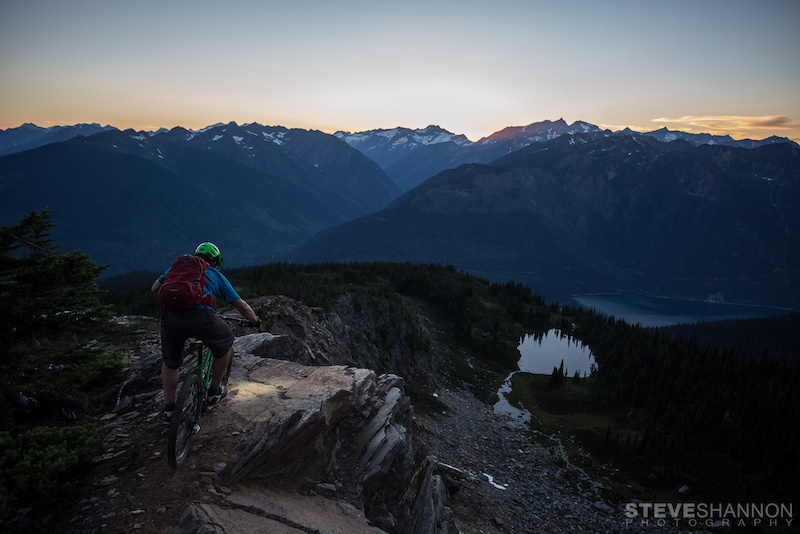 Dave Pearson shredding the saddle from Mt. McCrae’s subpeak. A no joke scramble! Dave and I make our way to the summit of Mt. McCrae. Cruising down the McCrae trail, overlooking the backside of Mt. Cartier, RMR, and Ghost Peak. A little longer and a little tougher than McCrae, the Joss Mountain Trail measures in at about 11km one way to the summit and has over 1000m of elevation gain and descent. 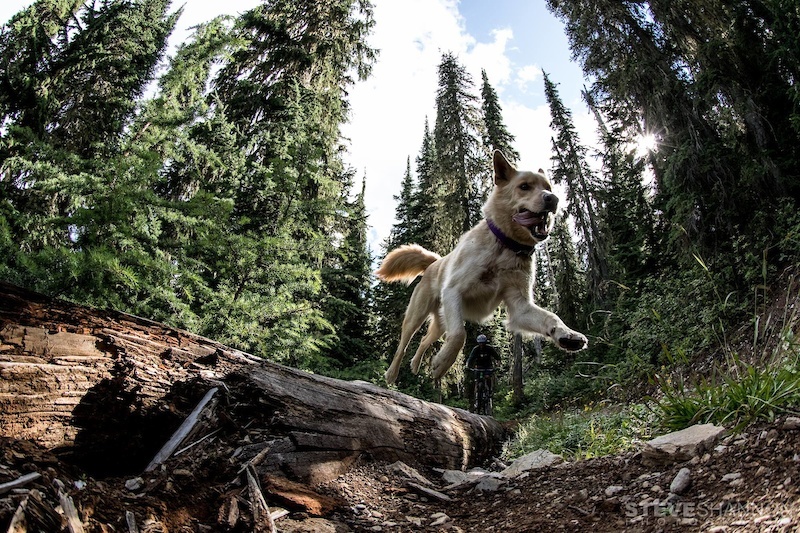 It is located deep in the Monashee Mountain Range and the approach to the trailhead requires a solid 4wd vehicle. This trail also provides a good mix of rideable sections and hike-a-bike sections on the way up and it’s one of only a few true summits in the area that you can access with your bike. The ride back down unreal! 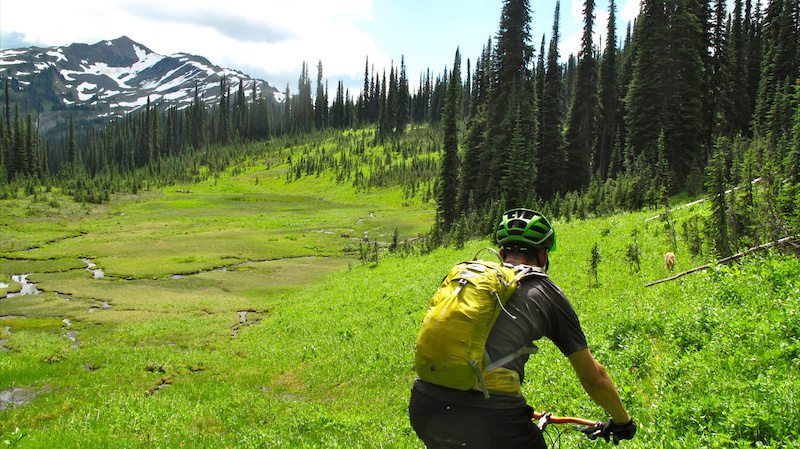 Big mountain backcountry singletrack at it’s best! This trail is prone to changing trail conditions and can sometime be quite wet and/or overgrown at lower elevations. Thanks to a dedicated crew of Revy locals for keeping the trail cleared out over the past few years. This is another favourite for sure! An awesome trail with incredible 360 degree views! 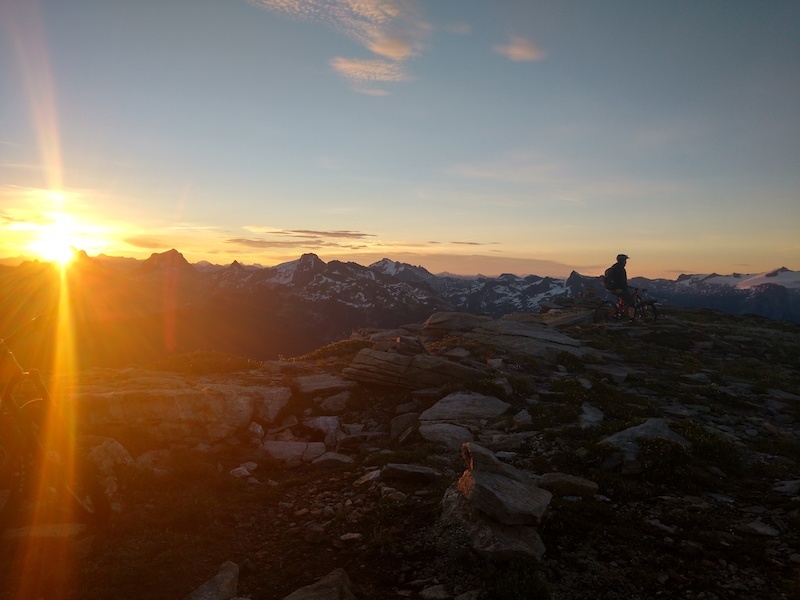 Ted Morton takes in a majestic sunrise on the summit of Joss Mountain. Of course you’ve heard of Frisby Ridge, maybe you’ve even ridden it. If you’ve carried on and dropped into the Ultimate Frisby DH Trail then you’re doing something right! But to really do it right, to accomplish the True Ultimate Frisby, you need to think like a local and ride it right from town! Be prepared for a long time in the saddle. This one is a little less backcountry with zero hike-a-bike, but believe me, it’s just as epic. In total this ride comes in at a little over 50km with 1500m of elevation gain and descent! 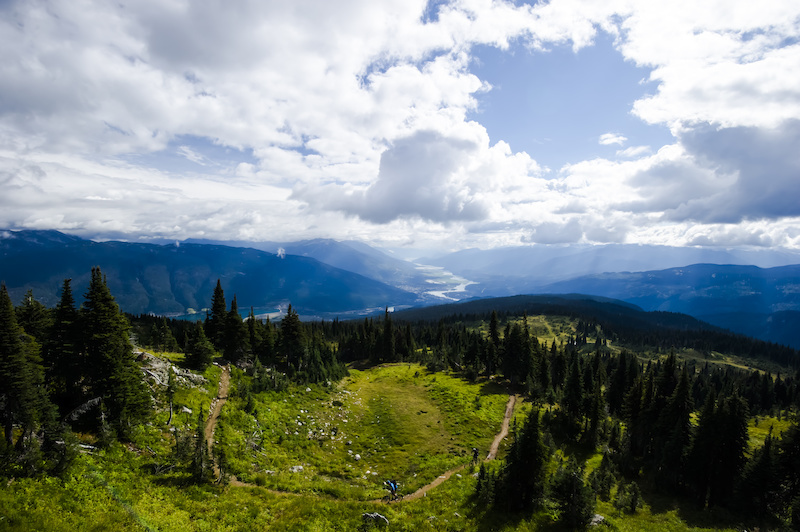 Thanks to the Revelstoke Cycling Association the Frisby XC Trail has recently seen some well deserved trail upgrades. This summer they also plan to build a connector trail to the Ultimate DH and they will be extending the alpine XC trail another 7km along the ridge. This is a big adventure and quite the feat of endurance! 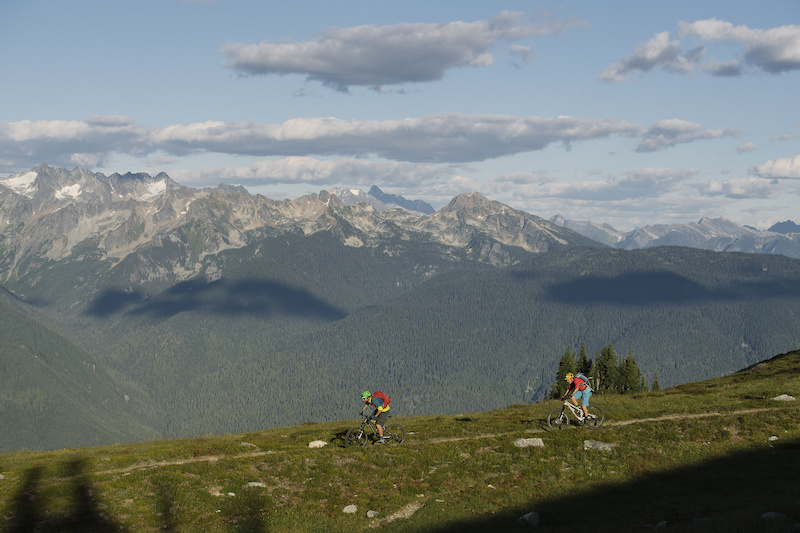 One of the biggest and most sought after hike-a-bike summit missions around! The Mt. 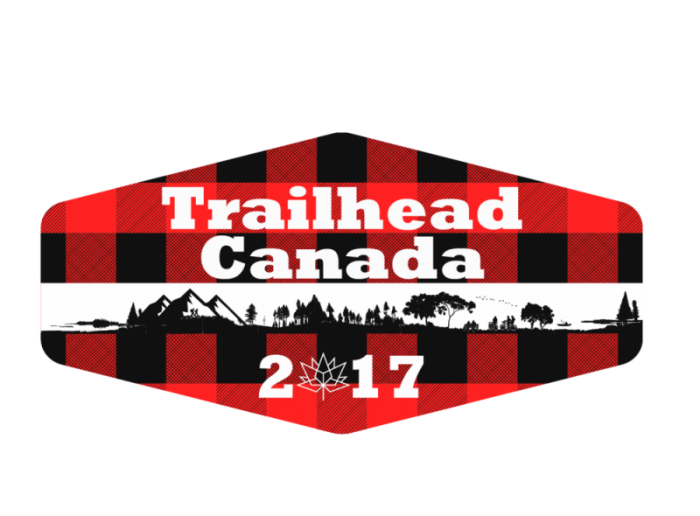 Cartier Summit trail measures in at 17km of singletrack (one way) with over 2000m of climbing and descending! I’ve hiked this one a few times and more recently, heli-dropped it dozens of times for work, so this one holds a special place in my heart. With the addition of the heli-drop opportunity this trail is now seeing more traffic and more trail maintenance than ever. It’s riding great! 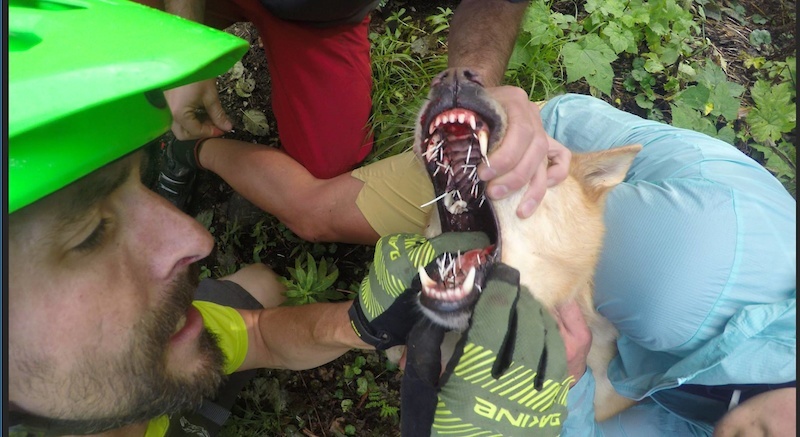 Thanks to Selkirk Tangiers, Glacier Helicopters and all the rad locals for the volunteer trail work! This one should definitely be on your list! 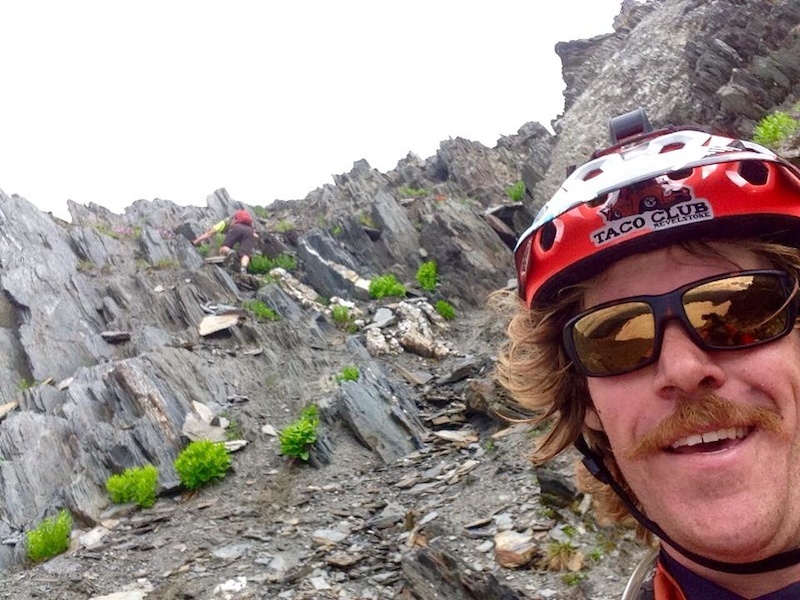 To see the full hike-a-bike experience check out this trip report from Bruno Long. Photographer Bruno long takes in the views before dropping in on the epic Mt. Cartier Trail. Mt. Cartier’s iconic peak looms over the town of Revelstoke. The first few corners are not gimmies! This one might just be my favourite bike ride ever! 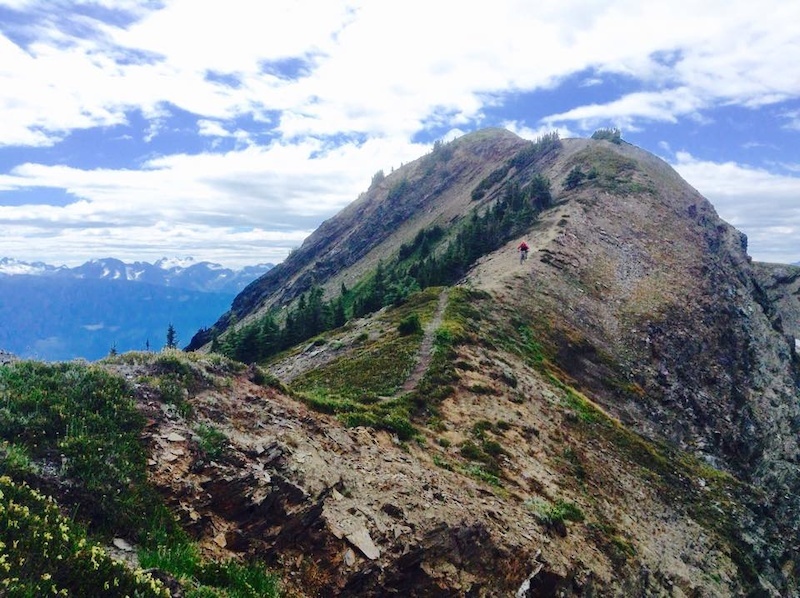 You’ve probably heard of Keystone Standard Basin – The classic Revelstoke high alpine trail. Most people would be satisfied after completing the traditional out and back ride to the Keystone Cabin, but for those of you looking for the ultimate adventure, Standard Peak is it! In my opinion this is the epitome of the adventure ride! Carry on past the cabin to the summit of Standard Peak for a ride totalling 42km with almost 2000m of elevation change! This ride is no joke! 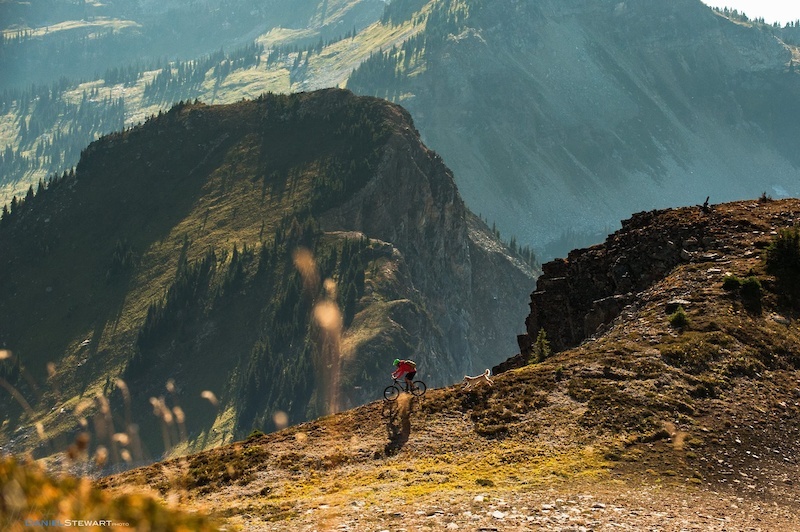 It is rugged, technical, and steep backcountry singletrack with several hike-a-bike sections, a bit of route finding, and a loose shale scramble to the summit. The views from the summit are breathtaking and if you manage to catch it at the right time of year, the colours of the wildflowers and the forest in Standard Basin can be other-wordly. Grab a good, strong buddy for this one and don’t forget to leave some cold beers waiting back at the truck! You’ve earned it! Learn more about the history of this classic route. All time alpine wildflowers! A popular photo spot on the traditional Keystone Standard Basin Trail. Heading towards the base of Standard Peak, the summit approach can be made from either side. I prefer the flow of riding all the way through the basin and heading up the lookers left ridge. Reaching the summit. Mission accomplished! Now for the long ride back out. All of the rides listed here are remote big mountain trails, not to be taken lightly. If you decide to give it a go, make sure you are prepared. Emergency situations can develop in the blink of an eye and help can sometimes be hours or even days away! Do your homework – Plan, search google, study maps, review trip reports, check the weather forecast, review wildlife encounters in the area, etc. Prep your bike – Self-explanatory. 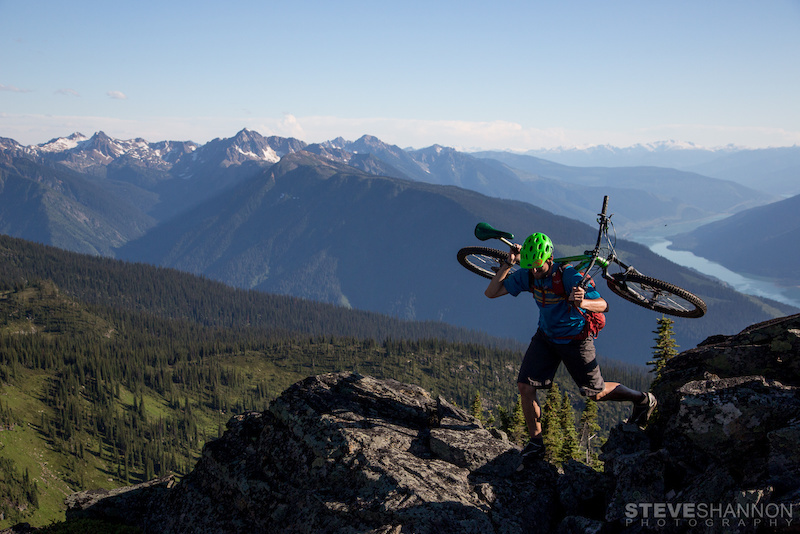 Make sure your bike is ready for the mission ahead – don’t wait until the top of Mt. Cartier to swap out your brake pads! Start early – Give yourself plenty of time and lots of daylight. Pack a headlamp and spare batteries just in case. Communications (or lack there of) – There is little to no cell service on these rides. Leave detailed trip plans with someone you trust. Carry a Spot or Delorme InReach device. Dress properly – Wear or pack extra layers and never go into the alpine without a jacket even on a hot summer day. The weather can change quickly in the mountains! Partner up – While I am all for solo adventuring from time to time, I would definitely recommend choosing a strong and competent partner or group of friends for these rides. Prepare for Apres – This might be the most important rule of all! Leave some cold beverages and salty snacks back at the truck. You will definitely want them after these big rides! 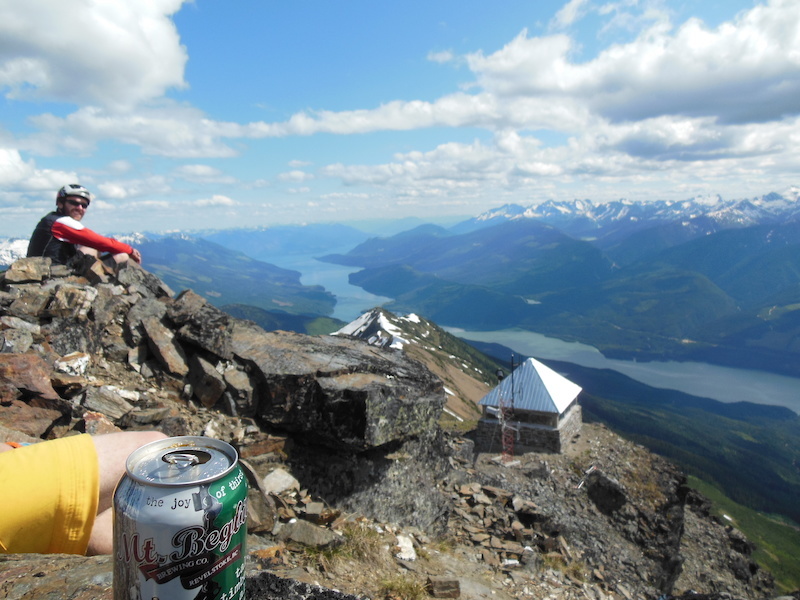 Sometimes packing a beer up for the summit is a good idea too! Hire a guide – If you are not comfortable with all the above points, I suggest you hire a professional and experienced guide. Accidents can happen in the blink of an eye, usually when you least expect it! I’m sure Dave Pearson can attest to that! Luckily the weather was good on this day. Henning, Nash and I enjoy our summit beer after the long hike up Mt. Cartier! 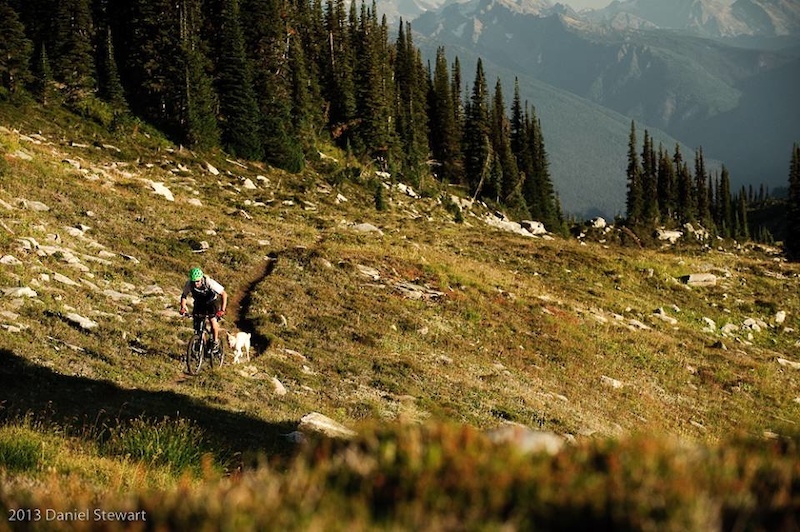 Wandering Wheels is an industry leading mountain bike guiding and instruction company. 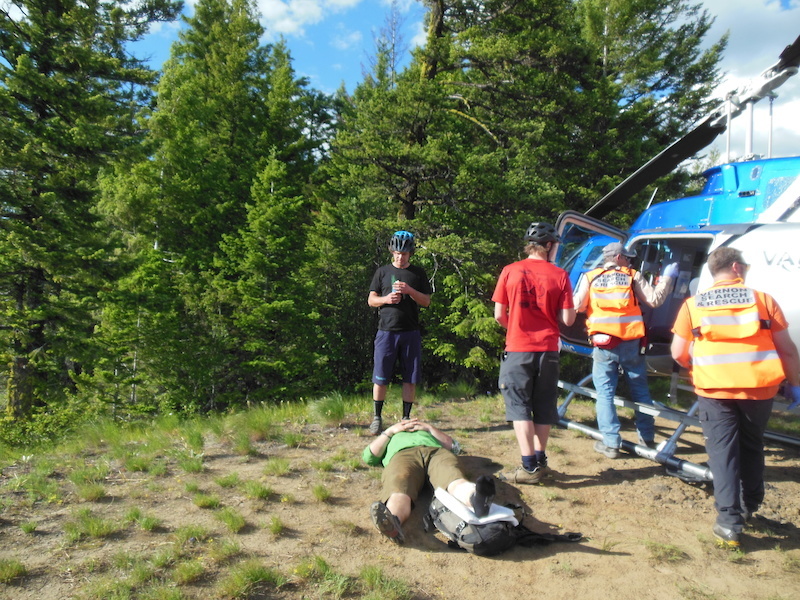 We offer all-inclusive multi-day trips, day tours, lessons, shuttles and heli-biking! Check out our website here and see our full line of 2017 All-Inclusive MTB Vacations here.